YARMOUTH PORT, Mass. -- Non-emergency medical transportation systems (NEMT) for hospitals and other medical care providers are expected to run more efficiently and provide expanded service options to patients thanks to a new partnership between Acuity Link and Lyft, the fastest growing rideshare company in the U.S. As part of the partnership, Acuity Link’s HIPAA-compliant NEMT logistic management dashboard will now support Lyft’s ride-hailing functionality. With the added capability of Lyft, Acuity Link’s software is now one of the nation’s leading all-inclusive NEMT platform for, all levels of care and modes of transportation, ranging from critical care ambulance transport to ambulatory patient transit - with Lyft as the final link to provide health care providers with ambulatory transportation solutions. Patients being discharged from any health care provider who do not need special transportation accommodations will have the option to be discharged through the new service. 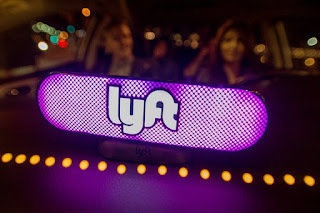 Additionally, the integration of Lyft’s ridesharing network into the Acuity Link platform will allow medical care providers in any health care setting to schedule one-time or recurring non-emergency transportation for inbound or outbound patients. By integrating Lyft into Acuity Link’s existing software, hospital and health care institutions staff or discharge clinicians can quickly and easily arrange medical transportation that meets the needs of these patients. The combination of Lyft’s services into Acuity Link’s platform presents a versatile transportation software solution for medical care providers and is the most recent example of the digital revolution within the health care industry. With the added capability of requesting personal medical transportation for patients via Lyft, representatives from Acuity Link anticipate their software will be a valuable resource for skilled nursing facilities and nursing homes needing to coordinate alternative transportation for patients. Often, patients who are ambulatory get transported out of nursing homes via wheelchair van services because most ambulance providers who serve them don’t provide ambulatory medical transportation. Health care facilities currently using Acuity Link’s software solutions report seeing improvements in patient experience and a reduction in the time to book transport requests by nearly 75 percent. For more information about Acuity Link and the company’s software solutions, visithttp://web.acuity-link.com/. Founded in 2015 by a seasoned team of emergency medical service and health care professionals,Acuity Link offers a HIPAA-compliant dashboard, which automates the process of ordering all levels of NEMT. The company’s digital platform can manage logistics for multiple transportation providers by levels of care and modes of transportation, and ensures contractual obligations are met by automating service level agreement compliance. Acuity Link’s technology utilizes customizable vehicle assignment logic, real-time integration with dispatch systems and automated medical necessity authorizations to allow health care institutions to instantly access the closest available and suitable transportation resources for patients. With Acuity Link, health care institutions can easily schedule on-demand, recurring and multi-destination transportation for patients, which streamlines the discharge process for hospitals resulting in improved patient throughput. Acuity Link’s dashboard is equipped with robust reporting and analytics tools driven by automatic geo-fence triggers and cloud-based, real-time data. The analytics dashboard aggregates accurate, actionable information for decision makers. The company is headquartered in Massachusetts and serves various health care institutions in the U.S., ranging from academic medical centers, free standing clinics, skilled nursing facilities and ambulance companies and wheelchair accessible medical transportation providers. Acuity Link is fully compliant with HIPAA laws and provides various levels of encryption, which meet or exceed industry requirements for protecting patient information.